SEOUL, Dec. 4 (Yonhap) — There’s no going back for both clubs. 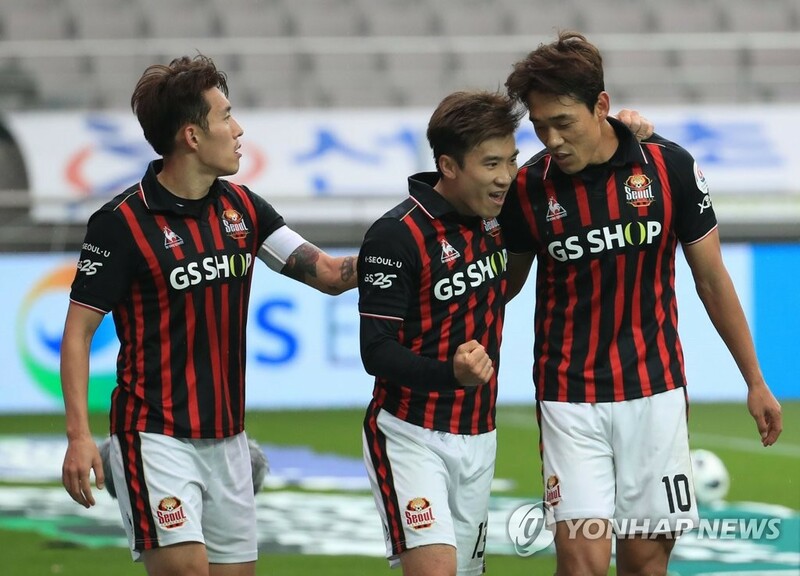 FC Seoul and Busan IPark FC are ready to give their utmost effort to play in the top pro football league next season as they square off in the promotion-relegation playoff this week. South Korea’s K League employs a two-legged playoff system to determine which clubs stay up and which go down. While the worst club is directly relegated to the second division, the 11th club in the K League 1 standings must beat the playoff winners from the K League 2 to remain in the top flight. The first leg will be played at Gudeok Stadium in Busan on Thursday, followed by the return leg at Seoul World Cup Stadium in Seoul on Sunday. Seoul finished 11th this season, a disappointing performance for the six-time K League 1 champions. 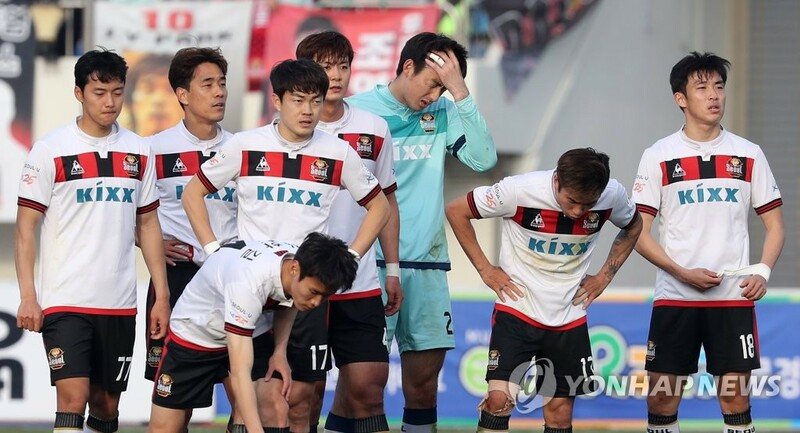 For the first time in their history, Seoul finished the season in the lower group in the K League 1′s split system — in which 12 clubs are divided into two echelons after playing 33 matches — and now they’re on the verge of relegation. Seoul went through coaching changes this season, but none of them have helped the club escape from a slump. After Hwang Sun-hong resigned from his post in April, Seoul were managed by caretaker Lee Eul-yong. They brought back former boss Choi Yong-soo in October, hoping he could make a turnaround, but Seoul didn’t improve as they collected only one win, two draws and two losses after the split. Seoul, who had finished in at least fifth place in the K League 1 in the last 10 seasons, have a better head-to-head record against Busan, collecting 54 wins, 47 draws and 44 losses. However, history doesn’t only favor Seoul. Since the promotion-relegation playoff was introduced in 2013, the K League 1 side has beaten the K League 2 club only once. Last year, Sangju Sangmu became the first K League 1 club to survive in the promotion-relegation playoff. Seoul lacked firepower this season, scoring only 40 goals in 38 matches, the worst among the 12 clubs in the K League 1. Midfielder Go Yo-han was their top scorer with eight goals. Seoul will need veteran striker Park Chu-young, who had stints with Arsenal and Celta Vigo, to step up in attack, along with Cho Young-wook, a 19-year-old forward who was recently selected for the South Korean national football team. Busan, led by head coach Choi Yun-kyum, finished third in the K League 2 and earned their right to face Seoul after beating Daejeon Citizen 3-0 in their playoff match. Busan are looking to make their return to the K League 1 after three years. The four-time K League 1 champions plunged to the second division in 2015 after losing the promotion-relegation playoff against Suwon FC, becoming the first corporate-owned football club to go down to the K League 2. They had an opportunity to earn promotion to the K League 1 last year but fell to Sangju in the promotion-relegation playoff on penalties. 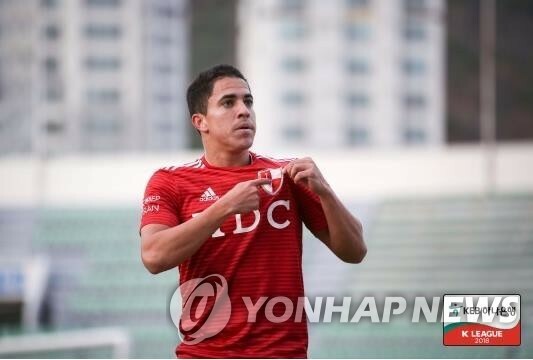 Busan will rely on Brazilian attacking midfielder Romulo Jose Pacheco da Silva, commonly known as Romulo, who netted 10 goals and bagged nine assists this season. 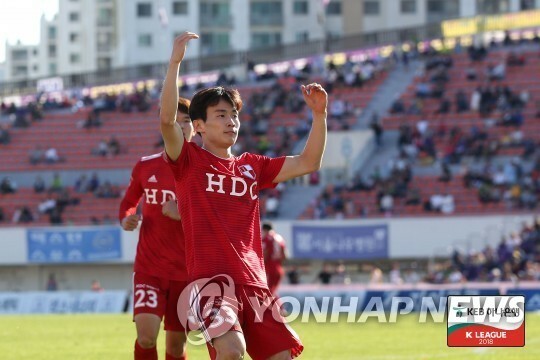 He will be supported by midfielder Ko Kyung-min, who had nine goals and five assists. Right back Kim Moon-hwan, who has three caps with the national team and was a member of the gold medal-winning South Korean team at the 18th Asian Games, is also a player to watch. Busan were the second highest scoring team in the K League 2 this season, scoring 53 goals in 36 matches. They were also the second best team in defense, conceding only 35 goals. For some fans, it will be interesting how veteran Busan defender Kim Chi-woo will perform against Seoul. The 35-year-old joined Busan this year after playing 10 seasons with Seoul.